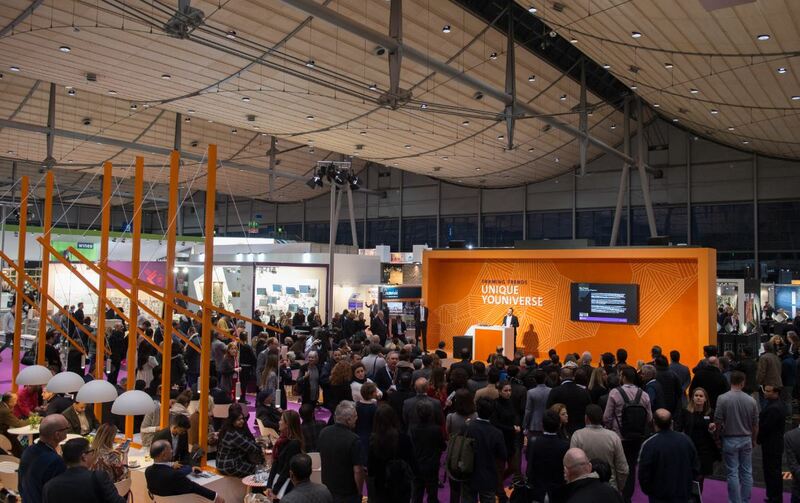 In terms of exhibitor turnout and booked space, 2018 was a record-breaking year for DOMOTEX in Hannover. The event took place from 12 to 15 January in Germany and FLOORS in Africa magazine’s Editors, Roxanne Mancini and Liezel van der Merwe, attended the event. “This year was truly inspiring. The exhibition was more modern, fresher and trendier than ever before. I particularly enjoyed the immersive displays that enabled attendees to explore the lead theme of UNIQUE YOUNIVERSE,” comments Roxanne. The majority of DOMOTEX visitors were buyers from specialist retailers and wholesalers as well as architects, interior designers and workers from the skilled trades. A strong increase in attendance was particularly evident among home furnishing and furniture stores, architects, interior designers, contract floorers and skilled tradesmen. As usual, DOMOTEX visitors once again demonstrated a high degree of decision-making authority. The mood at this year’s exhibition and conference was upbeat and DOMOTEX provided a brightly lit stage for the individualisation trend as well as all the inspiration and innovation associated with it. Hall 9 housed the “Framing Trends” showcase, where young designers, artists and exhibitors used Framing Trends to explore the topic of individuality in 20 “framed” rooms. “I loved how architects, designers and planners used the Framing Trends exhibition space as a hotspot of creativity. There were many flooring products on display and fusing the ideas of different disciplines and skills in a central location is often a catalyst to innovation. We are seeing a number of South African flooring companies beginning to tap into ideas and skills outside of their niche, and some of them are also investing in providing a centralised location where different ideas can merge. It was great to see that as South Africans, we are on par, and in some cases even ahead of international thinking in the design sector,” says Liezel. Starting in 2019, DOMOTEX will also take place in North America. The debut of DOMOTEX USA will be from 28 February to 2 March 2019 at the Georgia World Congress Center in Atlanta, Georgia.